Going on a yoga retreat can be a life-changing experience! It can dramatically improve your physical and mental health, restore your energy levels and improve your yoga practice. This guide will share some information about the benefits of attending a yoga retreat and the top 5 yoga retreats to look out for in 2018. There are many types of yoga retreats on offer. It’s important to choose one which matches your personal goals and skill level. A detox retreat will help you get your health back on track. These retreats will use a combination of yoga, organic food, meditation, and other treatments to eliminate toxins in your body. These retreats are a fantastic way to detoxify your body while improving your yoga ability. This type of yoga retreat focuses on your spiritual side as much as the physical. It will involve a combination of meditation, yoga, reiki, and other techniques to improve your emotional health and mind-body connection. 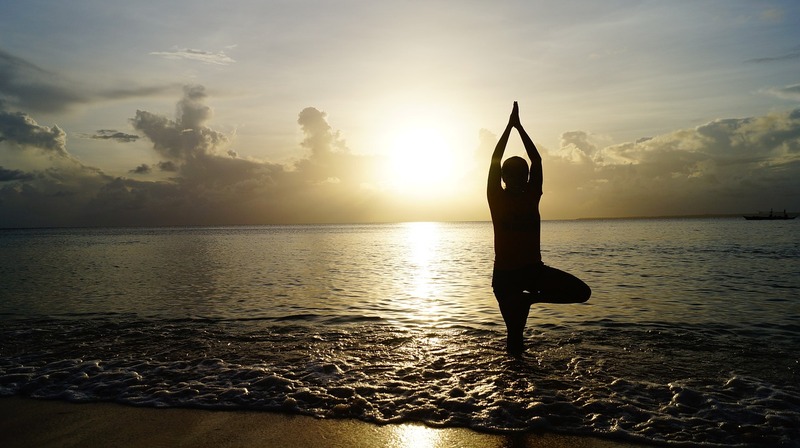 Spiritual yoga retreats are very relaxing and an excellent way to improve your mental health. An adventure yoga retreat will combine yoga with other exciting adventures like surfing, hiking, running and paddle boarding. They are a great choice for anyone who wants to improve their yoga practice and fitness levels while enjoying a fun getaway. This is the perfect option for people who want to enjoy an extremely relaxing yoga retreat. These retreats usually take place at a luxurious location with amenities including saunas, spas, and swimming pools. They often have massages and beauty treatments on offer also. 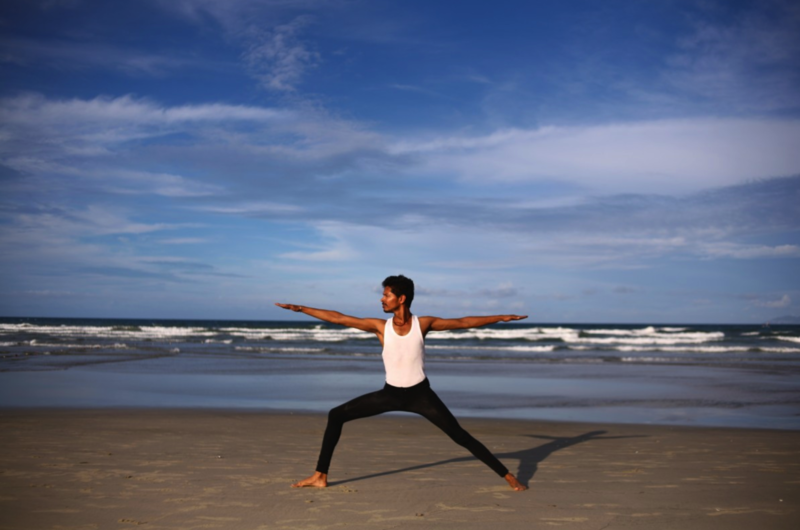 An intensive yoga retreat has a strong focus on improving your yoga practice. These retreats typically involve some very experienced yoga teachers helping students perfect their poses. They typically involve longer yoga sessions and multiple sessions per day. An intensive yoga retreat will also help you improve the nonphysical aspects of our yoga practice. Some events combine travel with yoga. You can spend a week in Thailand or France — exploring the country with guided tours and enjoying daily yoga sessions. You will learn from experienced yoga instructors, which can greatly improve your yoga practice. Yoga retreats usually provide attendees with a range of delicious and nutritious foods. You will eat well and feel fantastic when returning home. Attending a yoga retreat makes detoxing easy because you won’t be surrounded by all of the temptations of home. There will many healthy foods on offer to help you flush toxins from your body and support to help you go on a fast. There will be plenty of time to meditate while on your yoga retreat and very few distractions. You will have deeper meditations, obtaining a unique opportunity to explore your inner self like never before. 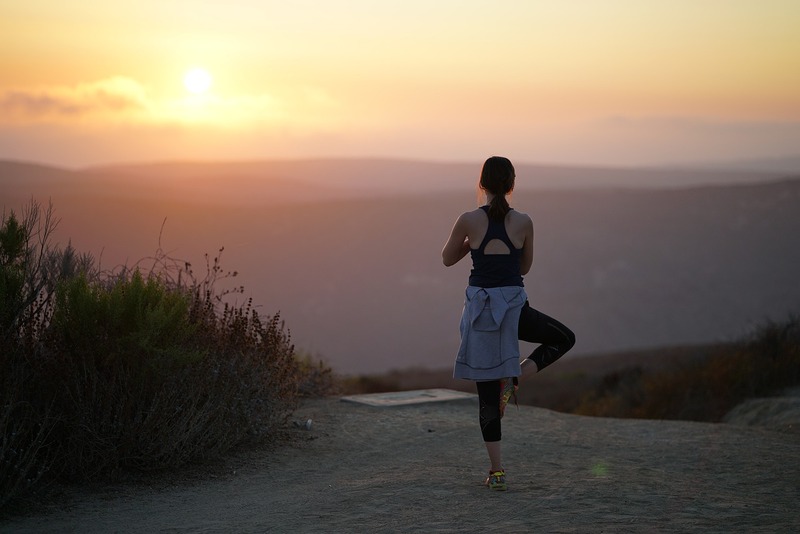 Attending a yoga retreat is one of the best ways to reduce your stress levels and relax. You can focus on yourself for a change! 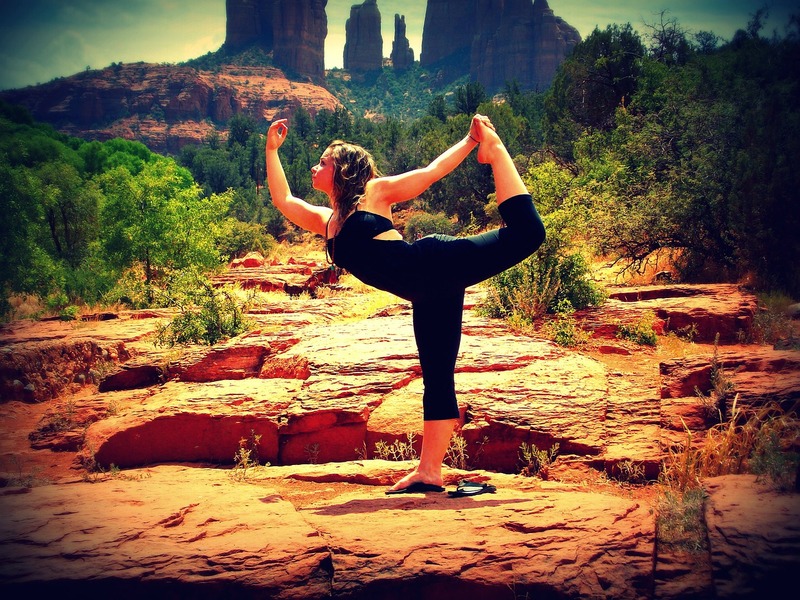 Yoga retreats are an excellent place to meet people who love yoga as much as you do. There are thousands of yoga retreats held around the world each year. You can visit some exciting new destinations and immerse yourself in the local culture. Here are the top 5 yoga retreats to look out for in 2018. If you are looking for a yoga retreat that helps you de-stress and relax, this 4-day luxury yoga retreat will fit the bill nicely. Held at Wiltshire, England between June 25 – 28, this retreat is aimed at people who want to combine their yoga practice with meditation and massage while enjoying luxurious accommodation. Attendees will stay in a rural Tudor house for 3 nights, with 3 daily meals included. The meals are described as being healthy, plentiful and plant-based, which means this getaway is also an excellent opportunity to detox. The property is located in a tranquil part of Wiltshire, surrounded by lush green pastures and forests. You can explore the fields between yoga sessions or relax in the hot tub. This retreat includes two rejuvenating Hatha yoga and meditation sessions per day, a 60 minute restorative massage, and one other treatment (Indian head massage, Ayurvedic facial, reflexology or foot massage). If you want to combine your yoga with some delicious Mediterranean food, great wine, and beautiful beaches, this yoga retreat is the perfect choice! Held on the island of Sicily, this retreat has been designed to help attendees find inner peace, explore the natural beauty of the area, and immerse themselves in the practice of yoga. This getaway includes many different energy training activities including Yoga, Tai Chi, Meditation, Mantras, Qi Gong, The 5 Tibetan Rites, and Aromatherapy. It also has a strong focus on the food of the local area, with attendees enjoying locally produced organic food and wine. The retreat is held in Randazzo, which is located in the province of Catania. This is a beautiful medieval town that is situated 750 metres above sea level. A truly spectacular location to unwind. This retreat will be running in June, July, August, and September of 2018. Breath plays an important role in the practice of yoga asanas. It is the Prana or vital force that is essential for life. This retreat takes attendees to a location where the air is so fresh and invigorating that it will transform your yoga practice — Austria! It is a 5 day retreat mostly centred on Kriya yoga, which has a strong focus on breath and the chakras. Kriya yoga can help you develop inner silence, which brings about peace and relaxation. There will also be Hatha yoga sessions held every afternoon and 3 daily meditation sessions. Attendees will be immersed in yoga and given the knowledge they need to improve their yoga practice when returning home. This retreat runs from August 29th to September 2nd. Serbia has become a popular destination for yoga retreats in the past few years. It’s a beautiful country with many stunning locations that are ideal for yoga or meditation. This 8 day yoga retreat will be held in the Tara National Park, which is in the Western region of Serbia. It is an incredible part of the world, with spectacular views, crystal clear mountain lakes, and rolling hills. You will be astonished by the beauty of the place. This retreat is suitable for yoga practitioners of all skill levels. It covers many schools of yoga include Hatha Yoga, Nidra Yoga, and Iyengar Yoga. This helps attendees learn more about the different styles of yoga and helps beginners discover which style they prefer. This retreat will run from July 7 to the 14th and again from July 24 to the 31st. Many of the best yoga retreats are found in the birthplace of yoga, India. This transformational retreat includes daily yoga sessions from an Indian yoga master. It also involves lectures and satsang sessions, emotional unblocking, and power transformation meditation sessions. Attendees will be spending most of their time at the yoga centre in Rishikesh. However, there is also an opportunity to go camping in nearby mountains for one night and to see some tourist attractions like the Taj Mahal. Both Hatha Yoga and Ayurveda Yoga will be taught during the retreat. It will be running in June, July, August, September and October this year. Yoga is an ancient art of breathing and stretching exercises that is accessible for everyone regardless of age or level of fitness. Originating in India over 5,000 years ago, yoga has a range of benefits for the senior demographic looking to take part in some regular exercise. Read on for five good reasons to add a yoga class to your schedule after retirement. Over years of use our joints become worn and when you retire you may find being less active makes your joints stiff and sore. Yoga is great for combatting this inevitable part of the ageing process as it keeps your joints and muscles supple and gently exercised on a regular basis. Blood pressure plays a huge part in our health. It can be an indication if your blood pressure is too high or too low of the first signs of underlying illnesses. High blood pressure can put a strain on your heart and other internal organs so the calming effect of yoga and the focus on breathing correctly can have benefits for your whole circulatory system. As you get older you may find that you are a little less confident on your feet or may find that your stability and balance isn’t what it used to be in your younger years. Yoga is fantastic for strengthening muscle groups around your whole body and improving balance. The poses require concentration and holding for a set amount of time making it perfect for muscle memory to keep you upright and keeping your posture straight. 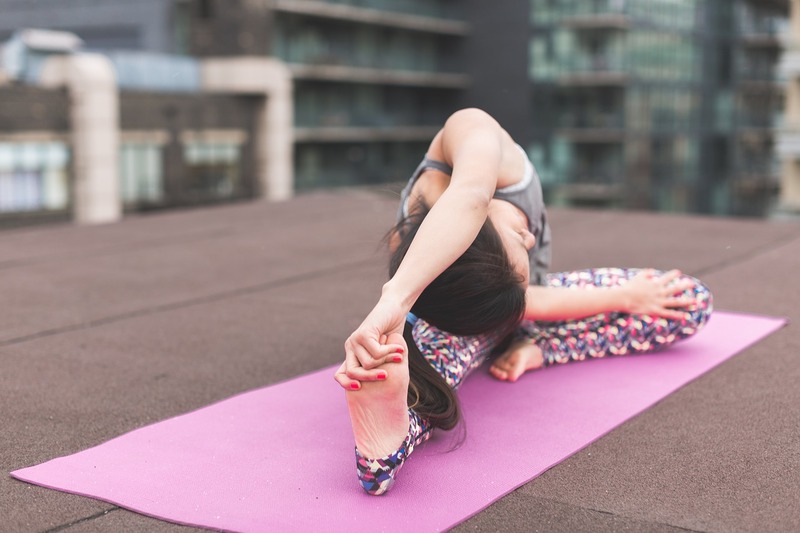 There’s no doubt that yoga has a calming and stress relieving effect on the body, but it’s also been proven to have the same positive impact on the mind. 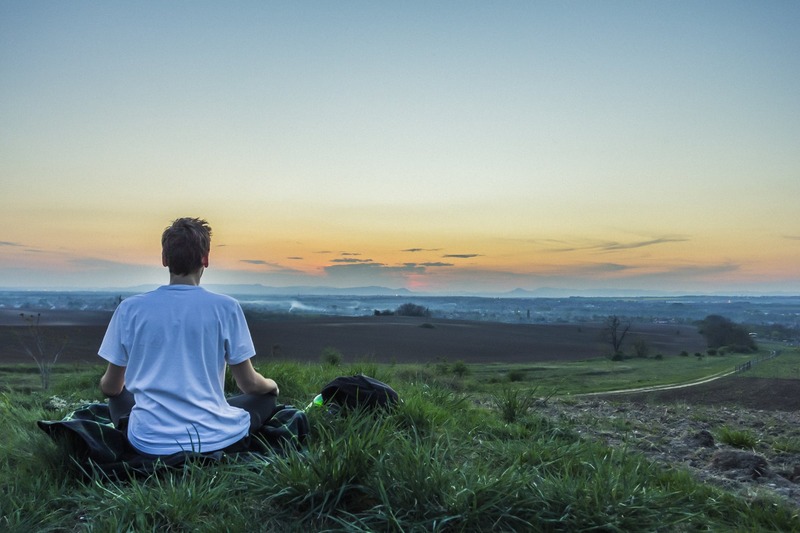 Anxiety and stress can be helped with the breathing techniques, the relaxation of yoga, and the meditative elements can also be attributed to giving an overall sense of improved peace of mind. As you get older it becomes harder to manage your weight but yoga can help with this too. Despite being slow paced it’s actually quite an intense workout which calls on you to use all of your muscle groups. With your improved muscle tone you’ll be fitter and stronger overall – which burns more calories day-to-day as you go about your daily life. Yoga has so many health benefits that it’s hard to argue with its introduction to your daily life following retirement. The ancient art of yoga combines the benefits of exercise and mindfulness and can be a rewarding hobby as part of a healthy lifestyle. Regular yoga can lead to stronger muscles, less stress, increased focus and a reduction in other ailments related to physical and mental health. If you’re thinking of taking up yoga, here are our 5 essential poses for beginners. This pose stretches out your hips, hamstrings and calves while building up the strength you have in your thighs and knees. Performed correctly, the forward bend pose helps to keep your spine strong and flexible while also relieving tension in the neck and back. The breathing and relaxation required for this pose can also help to calm the mind. The mountain pose will help to improve your posture while simultaneously strengthening the knees, ankles and thighs. It is particularly helpful to aid mobility and power in the feet and legs for those who suffer from conditions such as flat feet or sciatica. Of course, like all yoga exercises you can expect to also benefit from steadier breathing which can lead to improved concentration levels. Helping to relieve tension in your hips, the lunge can also strengthen your knees as you gently stretch out your hamstrings, quads and groin. The mental focus that comes from regular yoga sessions is another plus of this pose once you’ve mastered it. The lunge will work your core muscles too, as well as the glutes for an improvement in tone – giving you the perfect peachy bottom. The benefits of this pose can be particularly appealing for women. The downward facing dog can help with both menstrual discomfort and help to relieve some of the symptoms of the menopause. Stretching the calves, hamstrings, arches and hands, this pose helps to improve strength in both the arms and legs. Calming the brain with the simple deep breathing alongside the pose itself, the downward facing dog could also help to relieve and prevent conditions such as stress and osteoporosis. The triangle may look difficult but the benefits of this pose are improved strength in a variety of areas including the legs, knees, ankles, obliques, back and abdominal muscles. By gently stretching the legs, knee muscles, calves, shoulders, chest and spine, the triangle also stimulates the function of your abdominal organs and can relieve stress when performed correctly and consistently. The modern world is faced with stress. We always seem to be rushing here, there and everywhere in an attempt to juggle work with home and family. It is no surprise that we end up stressed. Being too wrung out can only lead to susceptibility to illness as well as a constant feeling of being tired and snappy with those around us. Thankfully there are several things we can do to help ourselves cope better with the stresses of daily life and yoga is one of them. Let’s take a look at some of the reasons why yoga can help alleviate stress. The first and most significant thing we can do to rest the soul and brain is to take time out. Practising yoga requires us to stop and focus on something different. In a class, concentration will be needed, and the nature of the exercises combined with the breathing will make relaxing and letting go irresistible. Sitting on your yoga mat becomes your island away from the worries of money, what you might cook, where you might go that weekend. That part of your brain needs to be turned off, and yoga encourages you to seek mental quiet. Calming the thoughts and shut out all extraneous chatter that pops into your mind forces you to focus on the yoga and nothing else. This is good for the body and lowers the levels of stress hormones. Generally when we race around in life breathing is just an automatic function. It isn’t something we consciously think about it just happens. Yoga has some particular breathing exercises that are deliberately contrived to work on our breathing patterns. It may come as a surprise to learn that most people breathe in a much shallower way than the lungs can cope with. Fully expanding the lungs and learning how to breathe correctly means that the body becomes calmer and there is more oxygen circulating the body which again helps with the battle of stress. Shallow breathing mimics the fight or flight response which is not a state we can continuously maintain without suffering, so it is essential we learn to use our lungs to their full capacity, and this will, in turn, lead to lower levels of stress. All forms of exercise are useful for releasing tension from the body, but something like yoga is particularly beneficial. It encourages the lengthening of the limbs and allows the body to return to a more natural state before life took hold. Being under stress can lead to hunched shoulders, sore necks and bad backs. Improved posture allows the body to hold a better position which in turn means carrying ourselves better. This places less stress on the body so pressure can be released and in turn pain levels and stiffness should decrease. This is a positive cycle of activity and the longer you practice yoga, the longer and leaner your muscles will become. This means that you will be able to stop carrying the stresses in your body because you have successfully learned to release them. The ancient practice of yoga originated in India approximately 5,000 years ago and today it is one of the most popular ways to relax and exercise. Yoga is for everyone, you don’t need to be super fit to start and you can increase the tempo as you become more adept at the poses and breathing exercises. What you might not know is how good yoga can be for your brain. Read on to discover five yoga poses that can boost your brain power. Also known as Seated Forward Bend – gently stretches out the spine. This in turn can lead to a relief from stress by relaxing your mind, as the pose helps to remove damaging negative emotions like anger or irritability. This one isn’t for beginners but once you’ve mastered it, look forward to the benefits of improved blood flow to the brain. This means it can help calm your nervous system and aid sleep. The Plow will stretch both the back and the neck, reducing stress and tiredness. Also stretches the neck and spine to relax those tight muscles and get your blood circulation pumping to your brain and keeping it healthy. The Bridge pose is relatively easy to do, and with practise you’ll hold the pose for longer and reap the benefits of a calmer disposition which can help against illnesses like depression. Sarvangasana is certainly one to master as you improve your yoga abilities. This pose is said to regulate the function of both the thyroid and parathyroid glands leading to improved brain function. Cognitive functions will also be improved along with the pineal and hypothalamus glands benefitting from the increased blood flow to your brain. This pose is more commonly known as Humming Bee Breathing. This breathing technique has the ability to instantly calm and focus your brain. By placing your fingers in your ears and taking deep breathes while making a buzzing sound you’ll free your mind of stress, agitation and even anger. It is also claimed that the calming of your brain cells and nerves can help to alleviate common complaints like migraines or problems with blood pressure. Another great advantage of this one is the improvement to concentration and memory. With any form of exercise it’s always good to start simple and learn the ropes – a good yoga class will also be a great way to meet new people and work on your Chakra. Yoga is world-famous, practised internationally as a means of gaining greater spiritual connections and boosting overall health and well-being. The earliest teachings of yoga followed the oral tradition of passing on the practice, so there is limited physical evidence from this time. The earliest known writings concerning yogic practice were written on leaves, which made them very fragile and have ultimately led to their loss. However, yoga’s development can be traced back some 5,000 years – though there is dispute of this rough date amongst researchers, some of whom believe yoga could in fact be much older than this. Regardless of this dispute, there is no denying that yoga in some form has been around for a very, very long time. Yoga’s beginnings in the form we now understand were developed in Northern India around 5,000 years ago. The word yoga is first mentioned in the sacred text, Rigveda. Yogic practice was then refined, slowly and over many years, documented in scripture and early texts as yoga developed. During this period in history, yoga was still a combination of different ideas which had not yet taken on a recognisable format. It was not until the Yoga-Sutra by Patanjali that yoga as we know it today began to take shape. Some centuries later, yoga masters began to create practices designed with the goal of rejuvenation and spiritual connection. The physical body was now viewed as a means of achieving enlightenment, with yoga as the central conduit to achieving this state of bliss and harmony. Many different forms of yoga developed over time, from more extreme and physically exerting variations using radical techniques, to calmer and more centred practices which further explored the physical and spiritual connection. From the late 1800s onwards, yoga masters travelled the west, gathered plenty of followers wherever they went. In the 1920s and 1930s, Hatha Yoga was popular, with schools opening in 1924 and 1936. Prolific authors such as Swami Sivananda wrote over 200 books on yoga, allowing the practice and its key tenets to become even more widespread. Today, yoga is practiced around the world with over 100 different yoga schools available, each with their own unique take on this ancient spiritual practice. The spiritual, mental and physical practice of yoga originated in ancient India. First held in 2015, International Yoga Day is celebrated worldwide on 21st June. The event is commonly known as Yoga Day, and was first suggested by Indian Prime Minister Narendra Modi at a UN address. The date is significant, as 21st June is the longest day of the year within the northern hemisphere, giving this date importance around the world. To celebrate the first International Yoga Day, the Indian Postal Service released a special commemorative stamp, while 2016 saw ‘The National Event of Mass Yoga Demonstration’ held in India on Yoga Day. A form of yoga therapy, referred to as Integrated Yoga Therapy, has been found to have a positive effect upon the behaviour and social functioning of psychiatric patients, with the possibility to help reduce symptoms of some major psychiatric disorders. While the calming effect of yoga is well-known by practitioners and devotees, findings of a 2013 study discovered that yoga also appeared to have a positive effect on mild depression and sleep problems, as well as aiding symptoms of disorders such as schizophrenia and ADHD. Those of us with beloved pets can take them along to Doga, a form of yoga developed by New York practitioner Suzi Teitelman to help strengthen the bond between dogs and their owners. Each one has its own specific practices and principles, though they all strive to attain the same goal of oneness and harmony with the universe. Whether you’ve been practicing yoga for a while, or it’s entirely new to you, the health benefits of the discipline will still be staggering. Ancient yogis believed we only had a certain number of breaths in each lifetime, leading to the creation of yoga’s carefully cultivated breathing exercises. The breathing exercises within yoga have been found to improve mood significantly, but even more impressively, yoga can actually enhance your lifespan due to its positive effect on stress-associated disorders, and vital organs such as the lungs and heart. Yoga is therefore a practice suitable for all ages to benefit from, and can be started from any level of fitness.